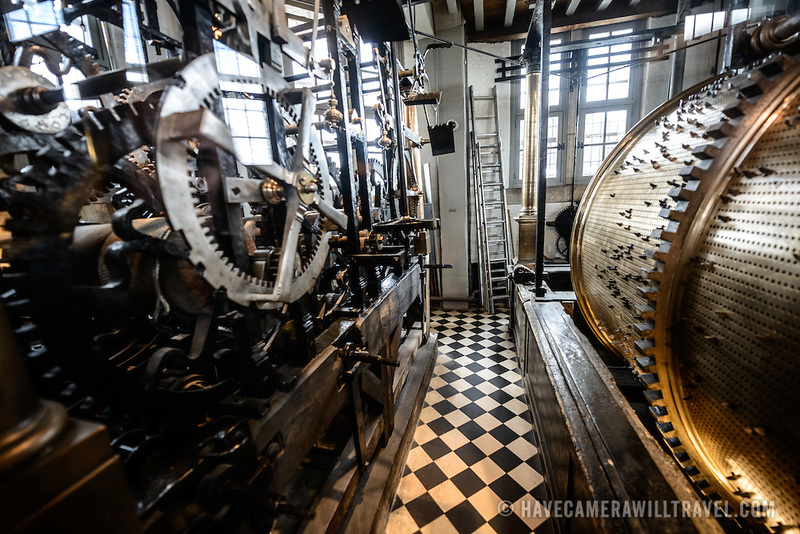 Some of the intricate mechanical workings of the Carillon that chimes the bellts of the Belfry of Bruges. The Belfry (or Belfort) is a medieval bell tower standing above the Markt in the historic center of Bruges. The first stage was built in 1240, with further stages on top built in the late 15th century. The Carillon consists of 47 bells. 26 bells were cast by Georgius Dumery between 1742 and 1748 and 21 bells were cast by Koninklike Eijsbouts in 2010. The bourdon weights 6 tons, and the bells have a combined weight of 27 tons.